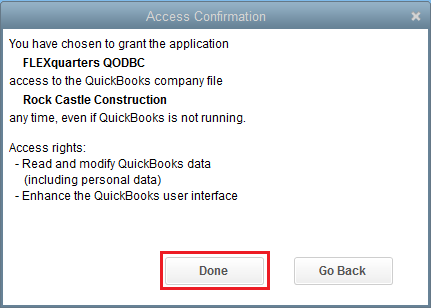 I am using MS Excel access QuickBooks Data through QODBC. I have Estimate & some of the Estimates are converted to QuickBooks. I want to know how many Estimates are converted to Invoice & what is conversion time. How Can I find Estimate to Invoice conversion time? Please click here to download the Sample Excel file. You can find Estimate to Invoice conversion time by following below steps. 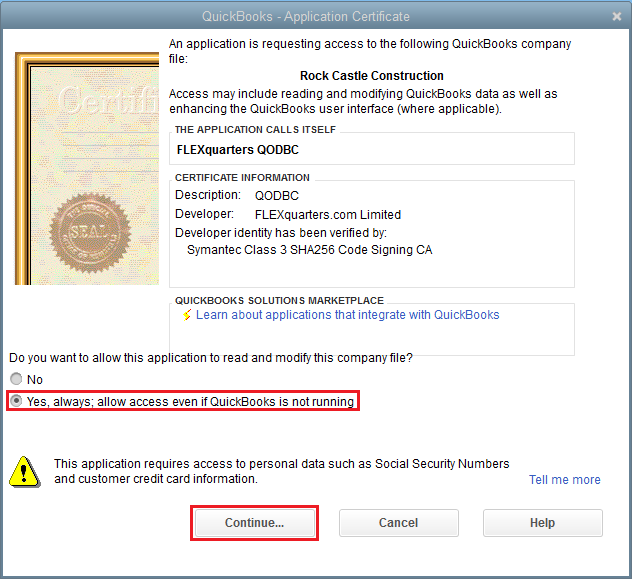 Please Note: If you have 64-bit MS Office, then you need to use QRemote 64-bit DSN "QuickBooks Data 64-bit QRemote"
After you grant permission for QODBC, you will be guided by Query Wizard. 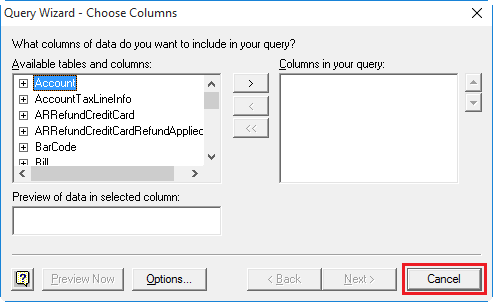 In Choose Columns window, Please click "Cancel" to write the query in Microsoft Query. Please click "Yes" to write the query in Microsoft Query. 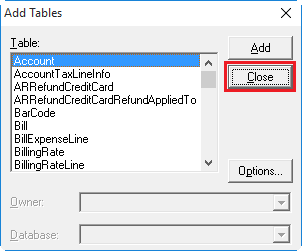 In Add Tables windows list of tables available, Please click "Close" to Open MS Query editor. 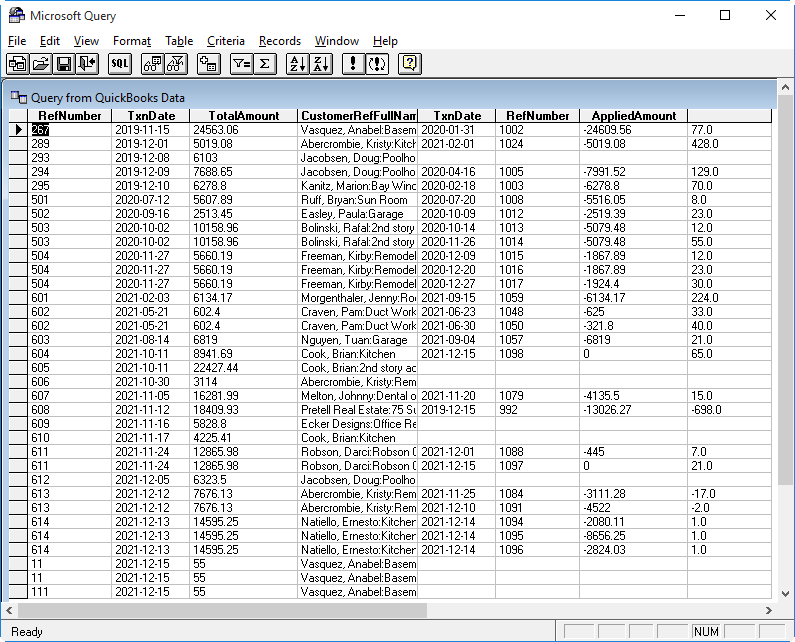 Click "SQL" button to write SQL Statement. 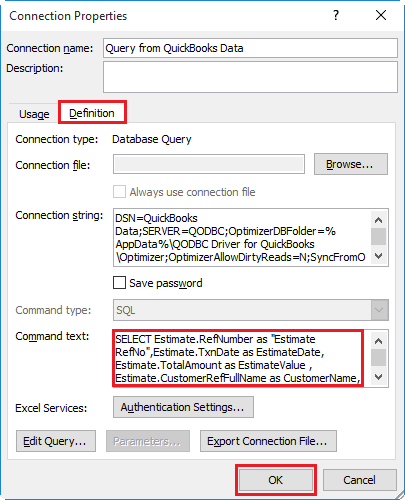 We will use below query for finding Estimate to Invoice conversion time & paste it in "SQL Statement" box and click "OK". Please click "OK" to continue execution of the query. The result is available in the Microsoft Query editor window. Please select "File" >> "Return Data to Microsoft Excel" to export the result to Excel. 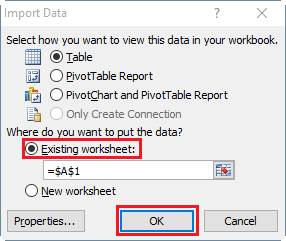 Please select "Existing Worksheet" and click "OK" to export the result to Excel. The result is available in Excel sheet. As you see column alias is not working. 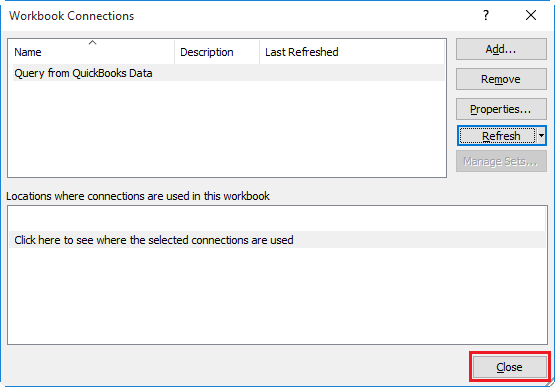 We will add alias by editing query by clicking "Data" & "Connection" button. 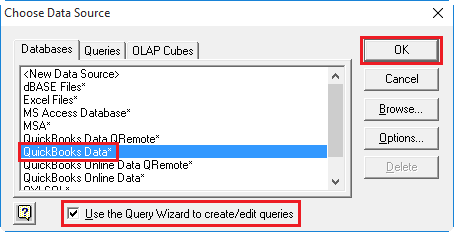 Please select the query & click "Properties..." button. Please navigate to the "Definition" tab & paste below query in the "Command Text" box and click "OK". 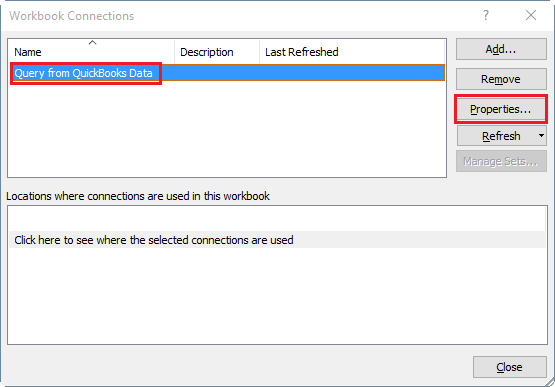 Please click "Close" to close workbook connection window. The result is available in Excel sheet with column alias. 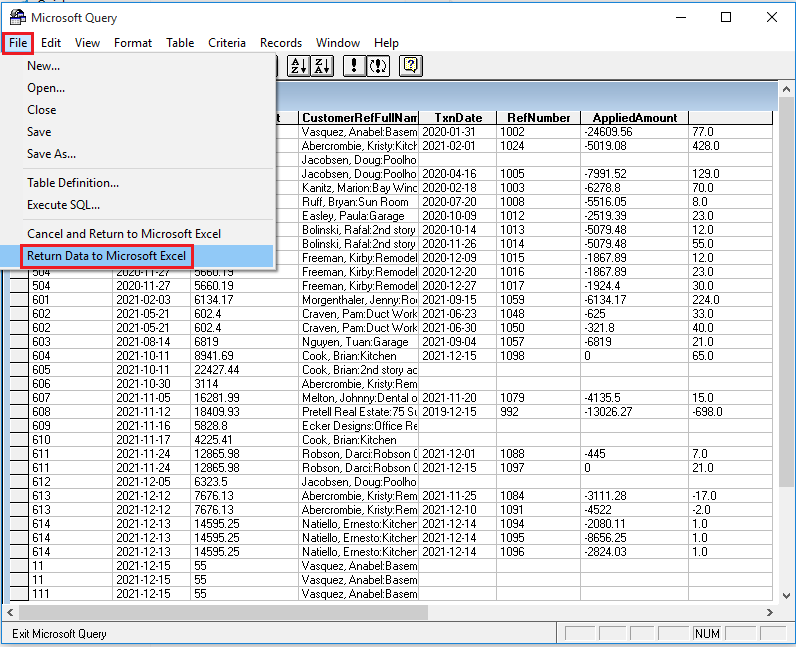 Note: Case When statement is not working MS Query. Alternative of Case When statement is IIF statement, But IIF statements is not supported in QODBC.